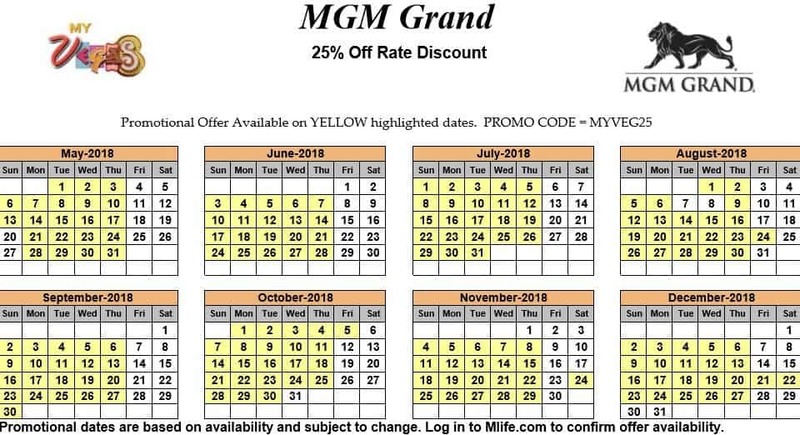 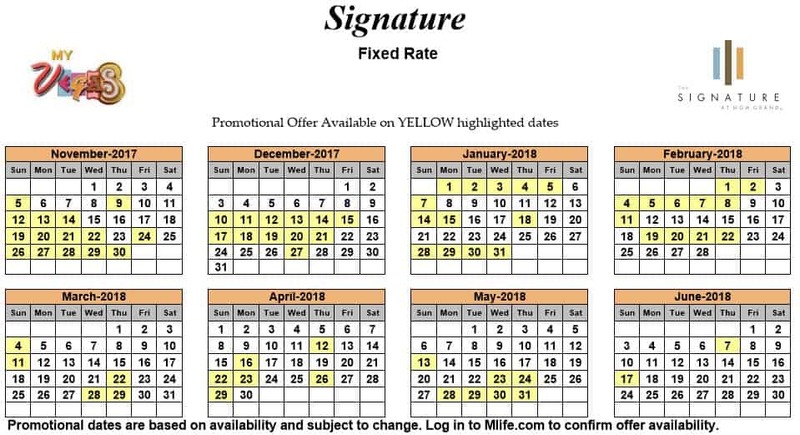 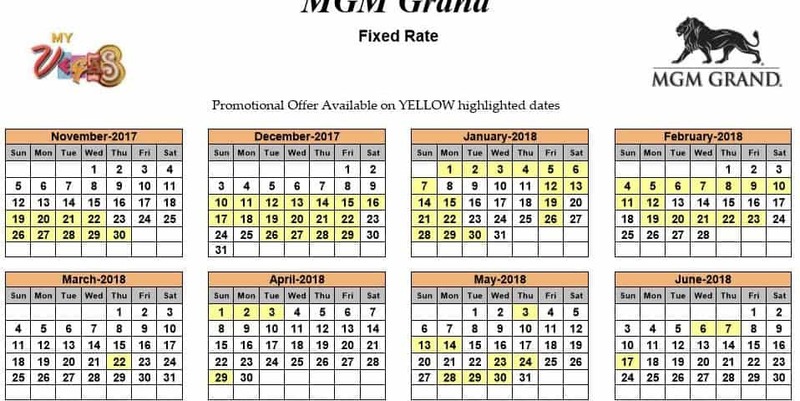 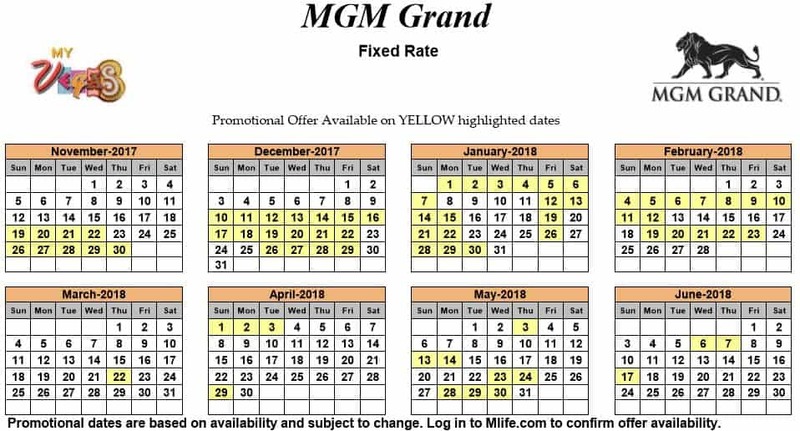 Find all the current myVEGAS Exclusive Room Rate Calendars, up to and including June 2018. 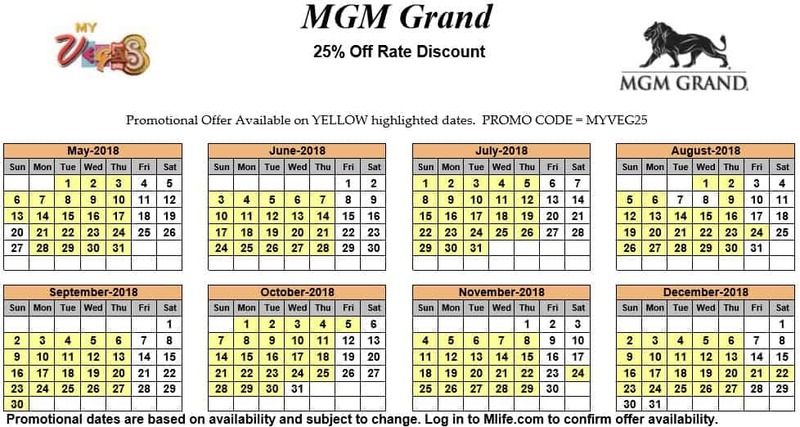 Because you can find free promo codes that are similar or better than these fixed rates, it’s a waste of a myVEGAS Reward and Loyalty Points. 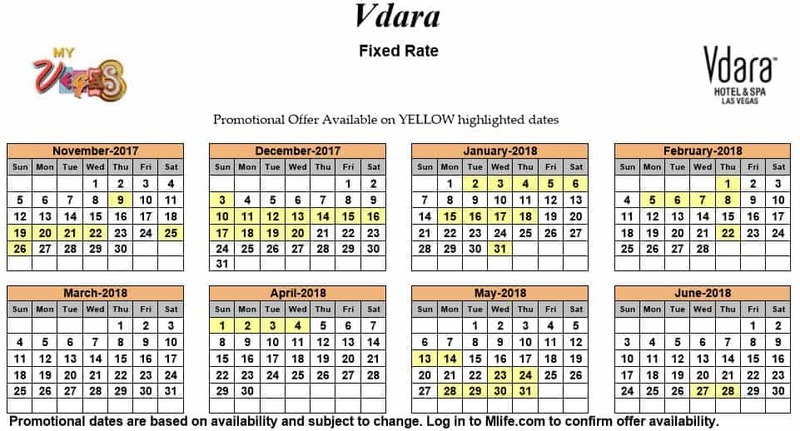 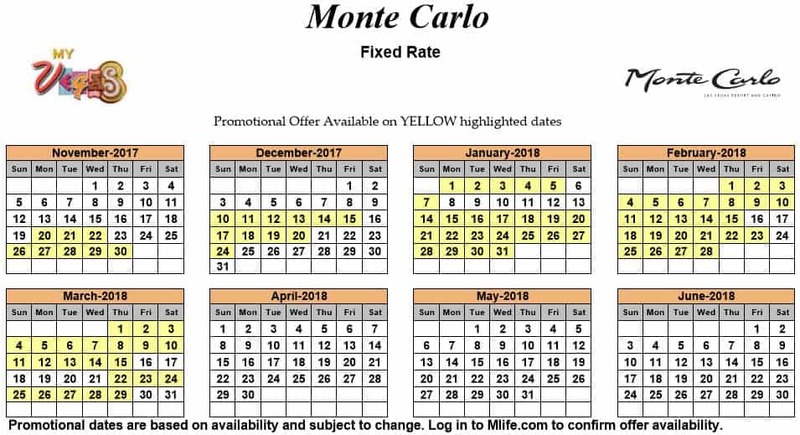 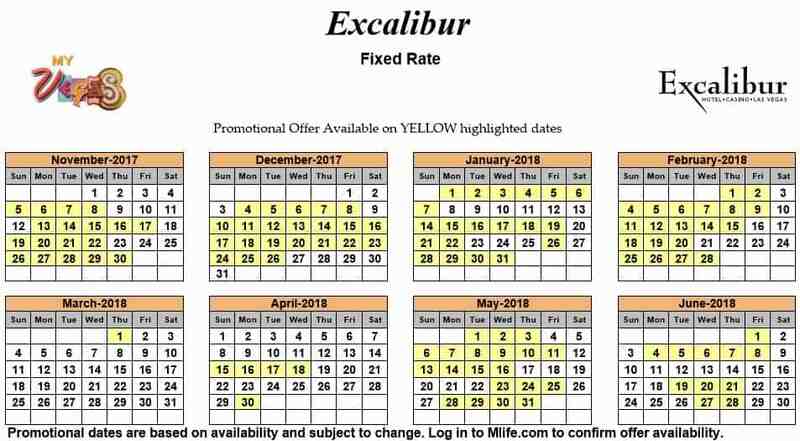 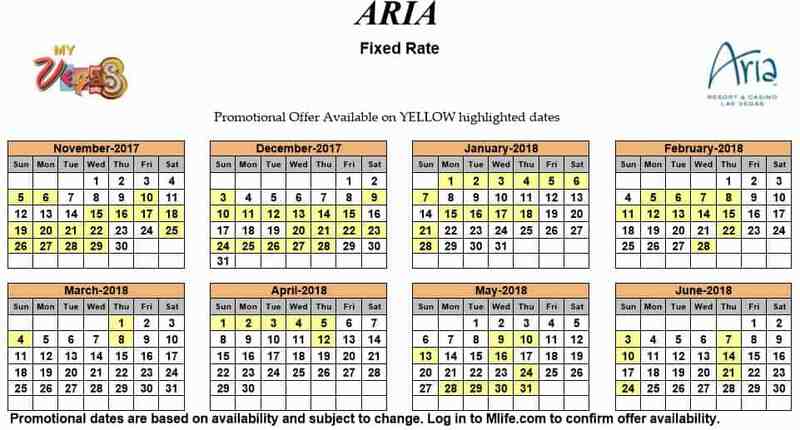 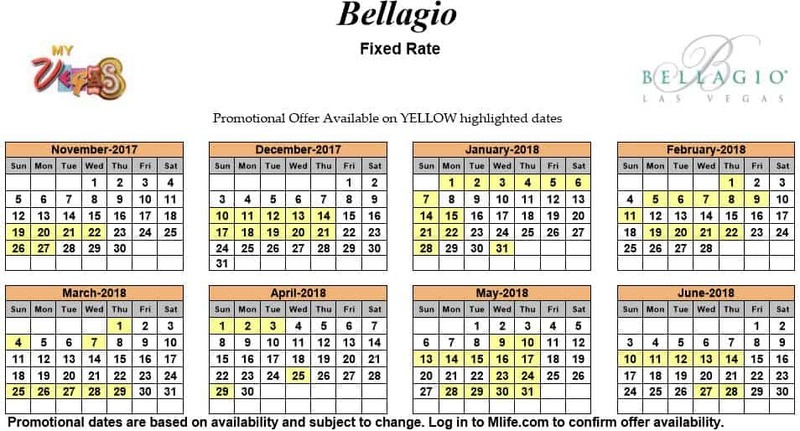 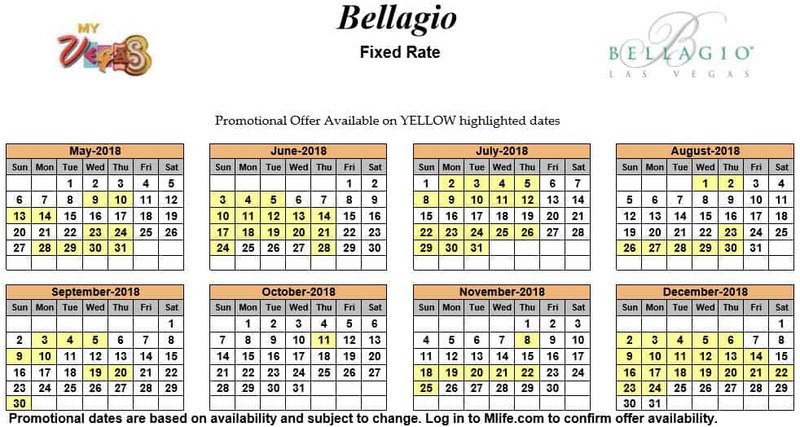 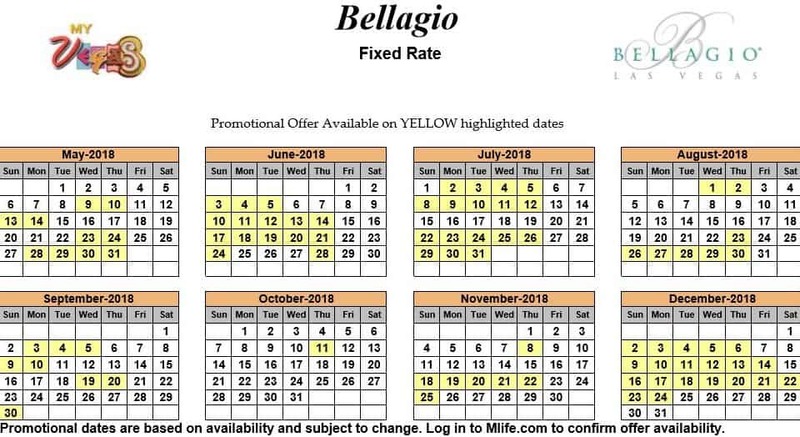 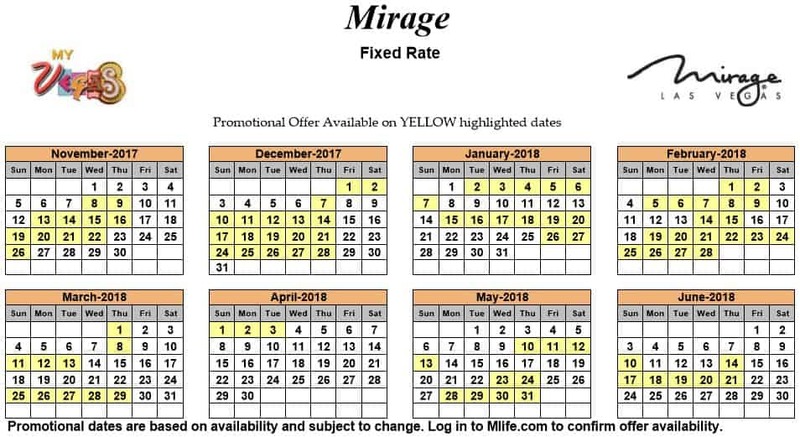 However, on very rare select dates, these fixed rates give great value. 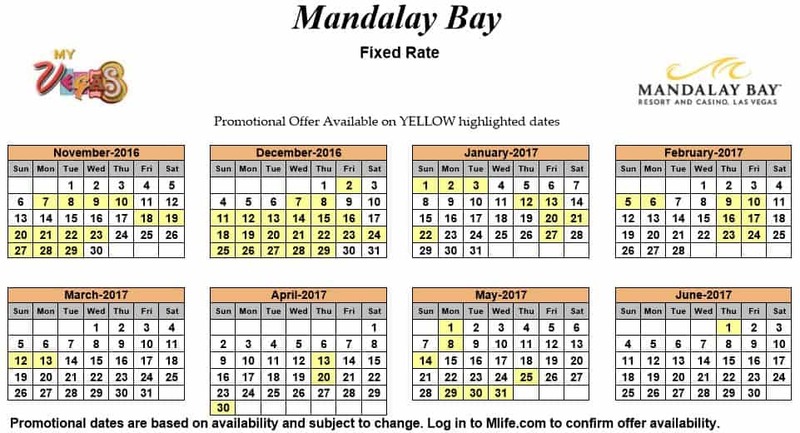 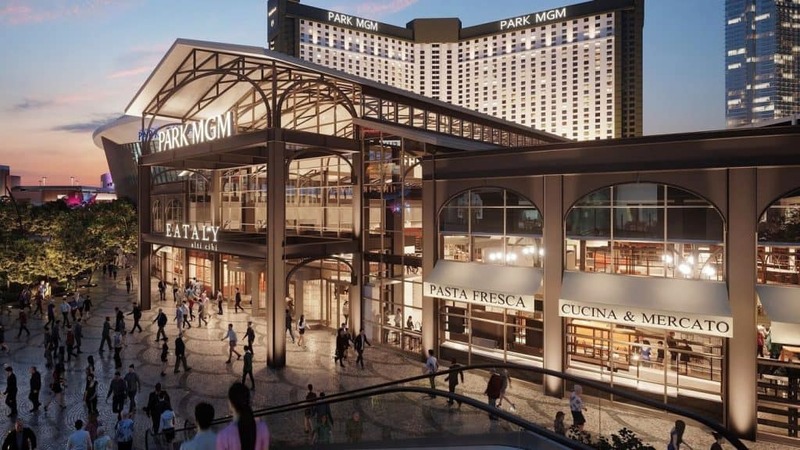 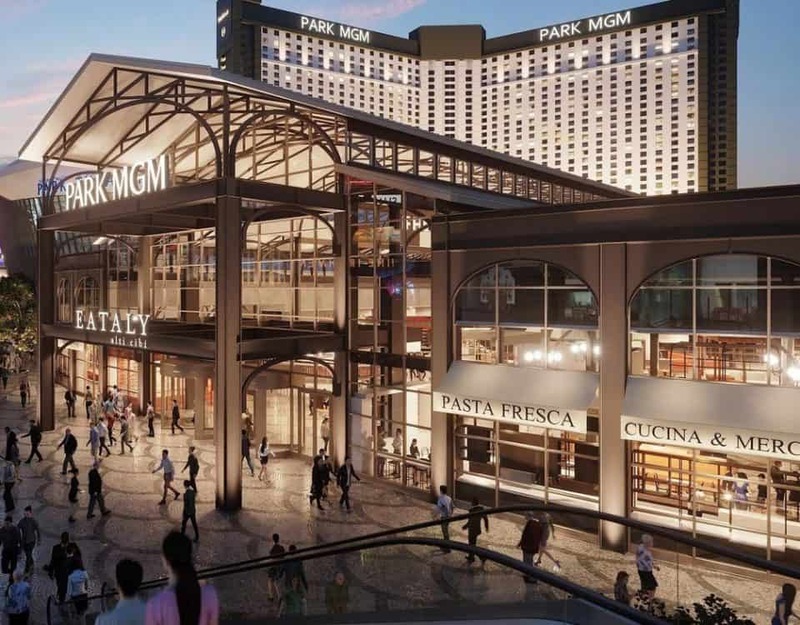 Compare those rates with our Las Vegas Hotel Deals before booking.